It is probably safe to say that the world of YouTube for anyone that was previously making living over there from producing and uploading videos has descended into some kind of hell. 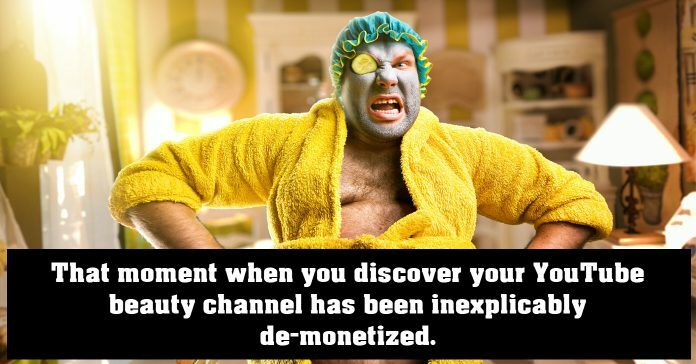 There have been huge changes with countless channels being demonetized and many others finding their viewership being decimated. For the big players things have not been so bad but for the middle to lower ranks things have become quite difficult to say the least. In reality all is not lost but whenever any service like this instigates major changes, there is always a bunch of complaining and many tears before bedtime. So to counter that a bit check the video below from Derral Eves on some alternative strategies for making a few bucks whilst still using the YouTube service. I was scrolling through a few of my saved videos the other day on YouTube and came across this tutorial video from Filmora. For the life of me I couldn’t remember if I had posted it in a Friday Roundup or not so rather than spend hours trying to work it out, here it is anyway. The video covers using both fast and slow motion effects in projects to create visually appealing effects and is well worth a look. This technique of combining fast, normal and slow motion in sequences is called speed ramping and as well as being used as part of the main content, it can also be used very effectively as a transition. Filmora from Wondershare is my current choice for the best simple or easy to use video editing software at the most basic level. You can read my review HERE but for now I wanted to add a video they put out this week showing some effects they use and how they create them. Over the past year or so they really have been producing a lot of great content on producing videos and not necessarily exclusive to using their software. This week they have created an excellent tutorial on a few effects you can learn to do and use very easily but there is something else I think is of value in their videos. If you watch carefully they make some great editing choices especially in the area of transitions where they tend to stick to straight cuts or tiny little created effects that run between shots. I have watched this video a couple of times and they are really quite clever in their editing decisions. Bear in mind that the guys producing these videos are editors, not actors… because quite frankly their acting chops are cheesier than a triple cheese pizza with extra cheese. One common effect that you have probably seen over and over for the past ten or more years is as a result of the rise of the superhero movie genre. The effect I am talking about is the superhero launching into flight or coming in for a landing. In the early days it was pretty easy to see that our hero was simply diving on to a conveniently placed mattress with a cut occurring right in the middle of the action. However more recent movies have nailed this effect due to the introduction of digital editing. Probably the best example of getting this effect right was the Will Smith anti-hero movie Hancock. Take offs leaving damage in the pavement and landings that resulted in the local authorities having to initiate road repairs! Both the take offs and landings themselves are surprisingly easy to do these days within just about any video editing software you care to name. Basically it is a video’d jump, a still image, the use of masks and voila, movie magic. The video below covers all aspects of creating the sequence with the understanding you will have to adjust to your own shooting and editing situation. The video below is a simple run through of the tools offered within CyberLink PowerDirector which are gathered together under the “Magix Fix” heading. These are a great set of basic tools that in many cases can correct problems with videos and other assets that you may have. There are options like an automatic red eye removal tool as well as lens correction and stabilization. These tools are designed to be quite simple and as such many of them do not offer any great deal of control over how they are applied because that’s not really the point. The point being that they are intended to be automatic. What the video does not show is that many of the features offered under the Magic Tools banner are also included within the programs effects plugins. Some of those plugins like NewBlue FX and Adorage provide their own solutions to the same problems but in the case of these ones the level of control is far higher. My usual approach to this is to use the Magic Tools as a first choice. If those tools do not handle the problem I have then I will go to the more advanced plugin alternatives to get the job done. One of the difficulties in dealing with voice tracks in any video editing project is knowing just what to do in order to get the voice sounding good. Most video editors have at least some ability to enhance audio tracks especially when it comes to voices, but it should be pretty obvious to you that a professional video still sounds way better. Part of this is that they are recorded professionally in the first place so the raw material they are working with is always going to be superior. Having said that there are still a bunch of things you can do to enhance that voice track and you don’t have to spend a bunch of money to do it. In fact you don’t have to spend any money at all! By using a free audio editor like Audacity (Just Google it) you can have access to a bewildering array of audio tools just like the pros! Unfortunately this is all comes with a bit of a downside… doesn’t it always? Having a bewildering array of tools to use in any field generally only ends up in you being bewildered! Trust me, when you begin to delve into the world of audio the terminology used will make video editing look like a picnic. So, to ease the pain a little I have included an audio tutorial this week from a professional editor specifically aimed at some improvements you can make to any voice track. In the tutorial the creator is using a high end audio editing program from Adobe but you don’t have to worry about that. Just about anything you see him doing in the video can be done in Audacity. The main points to get from this are what parameters of the audio he is adjusting to achieve an effect and most importantly what their names and values are. You can just follow along like I did and make vast improvements to any audio track with these tools. At the moment the main players in the social media market for uploading your videos to share are, FaceBook, Instagram, Twitter and SnapChat. Then on top of that we have the usual suspects that are not really thought of so much as “social sharing” sites like YouTube and Vimeo. Each one of those services is designed for a slightly different market and for a slightly different purpose and as such they all have their own acceptable video file parameters for uploading. This can create a bit of minefield especially when you are preparing to upload videos to more than one service at a time. Some are strictly portrait whilst others are strictly landscape in their aspect ratio requirements and in between there are a whole bunch of others! So to sort it all out check out the link below for an up to date rundown on what formats are acceptable for which service. Bear in mind that these are the current settings and will probably remain 100% accurate for about five minutes!